Evelin Ilves, ex-wife of former Estonian president Toomas Hendrik Ilves, is to run for the Green Party at the May European elections, ERR's Estonian online news reported on Monday. Ms Ilves had recently been linked with Estonia 200, a party which was formed in 2018 and ran in the 3 March general election, but did not gain any seats. While Ms Ilves did not confirm her candidacy to ERR directly, she said she is to make an official statement on Tuesday. She had told ERR on 25 February that she was ready to run in the European elections, having previously considered running in the domestic election, but did not say for which party. 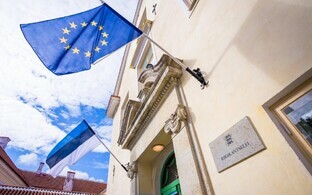 Registration for the European elections, which run between 23 and 26 May, begins on Wednesday in Estonia, with the deadline for candidate declarations being 18.00 EET on 6 April. The Estonian Greens polled 986 votes at the last European elections in 2014, 0.3% of the electorate. Estonia is treated as a single voting district in the European elections, and in line with EU electoral rules operates a proportional representation system – the same modified d'Hondt method it uses in the general and municipal elections in fact. In a poll conducted on hehalf of ERR on Friday by Turu-uuringute, 1% of respondents said they would vote Green in the election, down from 3% in February. The research focussed on parties only, since the candidate lists have not been revealed yet. 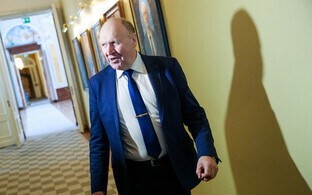 The Green Party polled 3% in the general election on 3 March, below the 5% threshold required for Riigikogu seats. According to daily Postimees, Ms Ilves had previously approached Estonia 200, as confirmed by party leader Kristina Kallas. 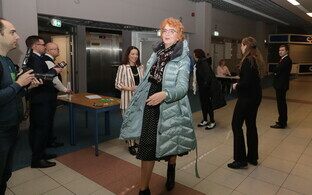 Ieva Ilves, the current wife of the former president, is also running in the European elections, in her native Latvia. Estonia was set to get one extra MEP seat, bringing to total to seven, in the aftermath of Brexit and the redistribution of some UK MEP seats amongst the EU 27. Since the situation with the UK's withdrawal is not finalised, neither is the bonus seat.